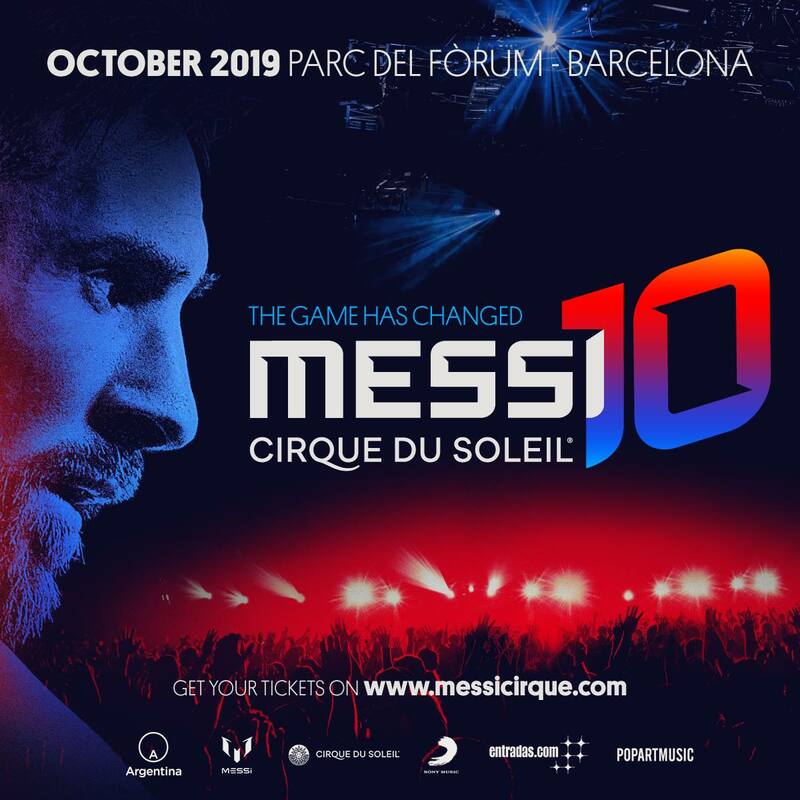 On October 10, 2018, Argentinean football player and FC Barcelona star Leo Messi, Cirque du Soleil Entertainment Group, and PopArt Music announced a partnership for the creation of a brand-new show to be launched in 2019. Created by Cirque du Soleil, the show would draw its inspiration from the incredible talent and accomplishments of the football legend, who embodies the unique spirit and values of his sport. 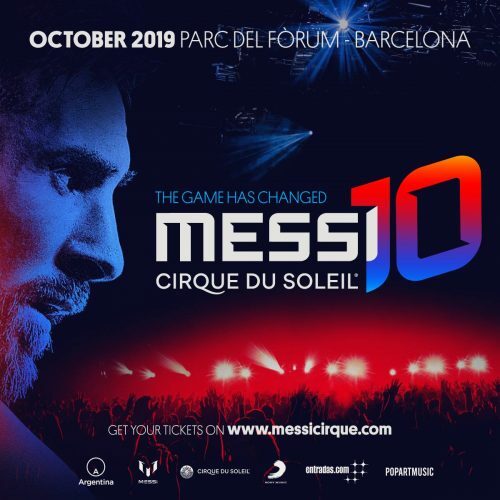 After paying homage to some of entertainment’s greatest artists, such as The Beatles, Michael Jackson and Soda Stereo, Cirque du Soleil would leap into the passionate world of football, celebrating Messi’s legacy in Cirque du Soleil’s signature way. Today, Cirque du Soleil announces #MessiCirque as “Messi10”! Messi 10, an amazing and inspiring experience for the fans, will use acrobatics to represent the athletics, devotion and overcoming that unite football world with cirque’s, celebrating the best football of our time. Messi 10 tells the story of a young man with the tireless ambition to overcome any obstacle to become the best “number 10” in the world. The show explores all the elements of its success to create a universe in which greatness is reached every time one falls and rises in the path of the impossible. A cast of 46 artists will guide the audience and fans on a breathtaking 90’ minute adrenaline rush that combines a dazzling physical performance with an unthinkable poetic surprise, and a vibrant soundtrack as a backdrop. For fans around the world who dream of feeling Messi just for one day, there will be an additional attraction, the Messi 10 Challenge. Football is childhood, school, family, friends and passion. Leo is football synonym, it’s the key to the game. He is the player that we all fans want in our team, whom we want to imitate. Being Messi for one day is the dream of all who are passionate about football. In addition to celebrating his talent and legacy, the show will provide fans with an unforgettable experience. Messi 10 Challenge is an additional attraction for the whole family to enjoy. 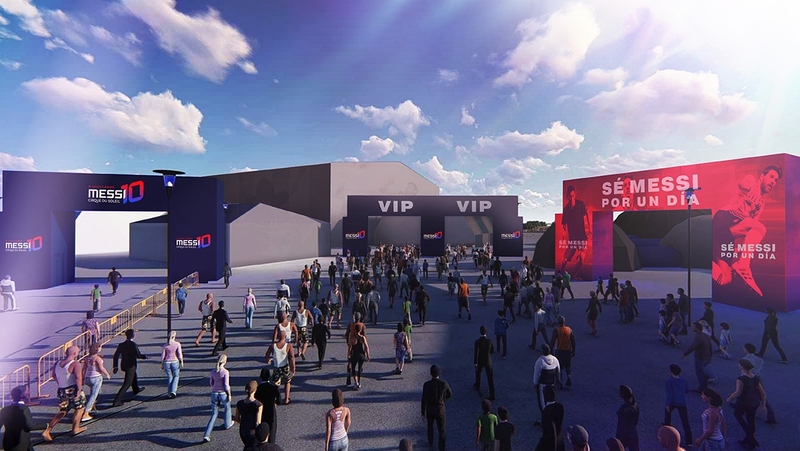 The challenge will be developed in a space beside the arena of the show, which will open its doors 3 hours before the begging of the show. Messi’s fans will be able to participate in different contests in order to score as many points as possible. They will be able to simulate Messi’s dribbles, emulate his free kicks, answer questions about his career, talk live with an interactive Messi, and be part of the most memorable moments of his career thanks to VR glasses. Once all the contests finish, the competitor with the highest score will be prized as the “Messi of the Day” and will be able to participate during the show in an interactive way. Messi joined Barcelona as a 13-year-old, with the Catalan club luring him from Argentina with the promise of paying to help treat a growth hormone disorder. He has since gone on to become the club’s most decorated player, winning over 30 trophies, as well as being named the World Player of the Year on five occasions. Now 31 and Barca’s all-time top goal scorer with 563 goals, he is closing on his 650th appearance for the club, with only Xavi Hernandez (767) and Andres Iniesta (674) having made more. The captain of the Argentina national team is also putting his name to a theme park in China, which is due to open in 2020.